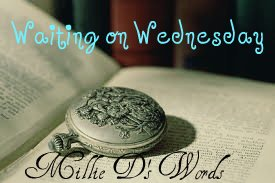 Waiting on Wednesday is a weekly meme hosted by Jill over at Breaking the Spine where bloggers like me get to gush about what makes their hands all grabby. I can't. Wait. For this book! Like--ughh! I need it now! 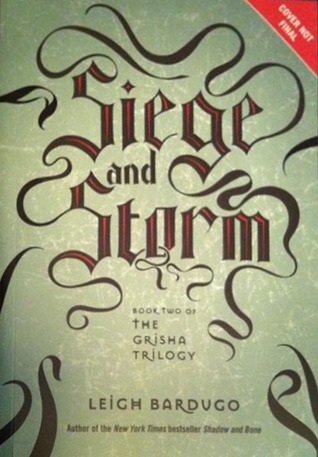 I absolutely loved Shadow and Bone to pieces and with the ending that was given, Siege and Storm was put to the very top of my TBR list. And this almost minimalistic cover draws me in even more. I kind of like to think of it as The Grisha Trilogy is what you imagine it to be and it lets all my creative juices loose. Even though I think that The Darkling is some gorgeous creature (and if you disagree, just look at Tom Hiddleston as Loki), I am Team Mal. So, GOOO TEAM MAL!!! Make me proud, you scruffy man. And what are you all waiting for this fine Wednesday? I feel really bad because I swaw all those amazing reviews when Shadow & Bone came out but somehow I still haven't read it and now the sequel is already nearly there >.< Great pick though! The world of these books sounds so great! I though that Shadow and Bone was good and so Siege and Storm will be on top of my wishlist when it comes out. Siege and Storm! I NEED MORE DARKLING! ;) Totally agree 100% with this pick! I never got into this series, but I know a lot of people love it. I hope you love it! Thanks for stopping by! I can't wait for this one. I was not expected to like Shadow and Bone half as much as I did... can't wait for this to release!! *Hangs Head In Shame* I haven't read Shadow and Bone yet. I really need to, I just haven't gotten around to it. Great pick though! I cannot wait for this one!!!!! Dying for it. I didn't LOOOOOVE Shadow and Bone, but it was seriously a great read. I'm really freaking excited for this one too! I think The Darkling is a hottie too, but I'm definitely still Team Mal. Awesome pick this week! Haha. Yes. The cover isn't final. I should have explained it better, but I was referring to the S&B cover, which was minimalistic, almost. I just recently bought Shadow and Bone and I can't wait to read it! They look great! I have not read the first one, but it's been pretty popular. Thanks for stopping by my WOW as well. I haven't read this series yet but it sounds like I should.